Philippe Bernard joined Equus Industries Ltd in late 1998. Coming from a journalism background, and having never been exposed to the building or waterproofing industry, he helped run the warehouse and provided sales support for six years. 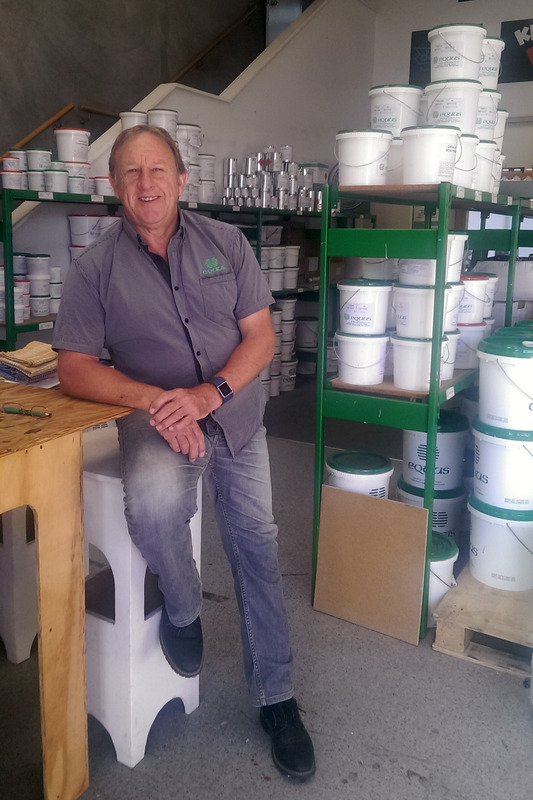 During this time Philippe acquired product and industry knowledge, and focused on customer service, dealing with the Equus Applicators as well as the Building Contractors. When Equus decided to grow the Auckland branch, Philippe jumped at the chance to become a Sales Consultant and enjoyed success in his dealings with contractors and architects. He was largely responsible for specifying all the waterproofing requirements for the Candida Office Park in Mairangi Bay and was able to convert numerous building contractors into using Equus products on small and large residential projects. He has also worked on some rewarding projects such as the Kawakawa Childcare Centre and Audi’s showcase complex in Auckland. Working in the waterproofing industry, Philippe also made customer service a priority from early on. As the longest-serving member of the Auckland team, Philippe has not only acquired good industry knowledge, but has also kept the branch running smoothly on the logistics side. Philippe has been very involved in his children’s sporting endeavours during their teenage years. Having been a sports journalist in his earlier career, he is passionate about sport with particular interest in Athletics. Hobbies and interests include cooking (that includes good wine ! ), camping, bridge, watching sport on TV and walking.